Frequency Modulated Continuous Wave-radars (FMCW) are different compared to other radar systems due to their ability to modify their frequency while measuring. This allows measuring the distance of the radar to the reflecting object by comparing the measured signal to the frequency sent. The goal of this project is to build a low-cost prototype of a FMCW-radar measurement system which can be used as a transportable demonstrator. It will be used in the studies around the Synthetic Aperture Radar(SAR). 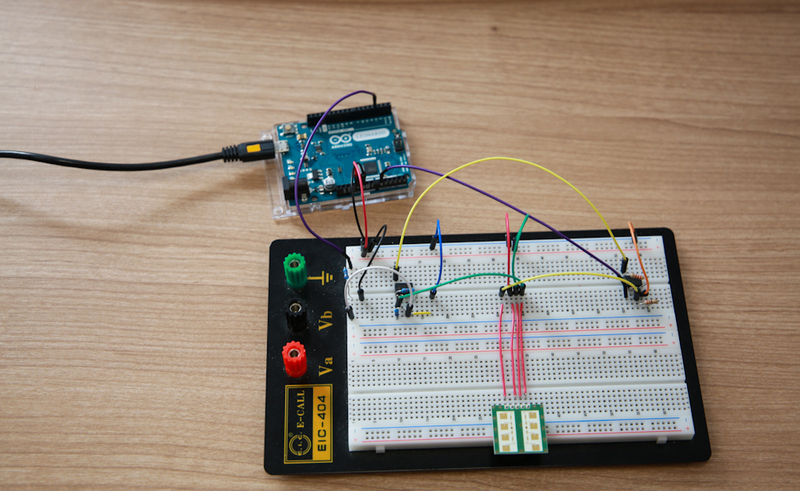 With the use of Arduino boards we can assemble a prototype and test different ideas. One of the main problems is finding the right band-pass filter for the radar circuit wich is dependent on many factors. For example, it depends on the frequency in which frequency of the radar is modulated. The amplification of the signal also depends on the radar in use and the Arduino board. Furthermore, the serial communication between the Arduinoboard and the computer has to be fast enough to measure and send the data. The efficency of the code on the Arduino is another important point because of the limited processing power of the Arduino.